Flaming Fox slot is the latest release from Red Tiger Gaming. It’s a five-reel, three-row slot with a ninja theme. The Red Fox is a ninja master who spends most of his time meditating quietly behind the wheels as you play. When he decides to show off his fighting skills, however, you’d better watch out! He can kick and punch you right into a big bonus. This is a fixed ten pay line slot with a minimum bet of £.20 and a maximum of £20 per spin. There is a maximum win of 3,333 times your bet, which, unfortunately, is about the only thing that stands out as impressive about this slot. It does pay out for wins going in both directions, but that doesn’t make up for the lack of just about everything else. The audiovisual design of the slot is solid and well done. The graphics are crisp, clear, and smooth. The only flaw here is that some of the symbols blend into the background somewhat because of the mostly transparent reels. Symbols include swords, scrolls, a belt, a mask, and fox-shaped footwear. There are also symbols for each of the playing card value from ten through ace. 100% Up To £/€333 + 77 Extra Spins. 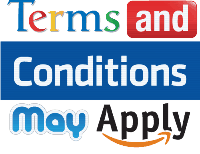 The low betting requirements provide easy entry for those who don’t like to put a lot on the line with each spin. Paying both ways on pay lines is something not many slots do, so it’s an interesting twist. This slot has a 96.11% return to player rate which is not the top RTP we’ve seen, but it is a good return that gives players value for their money. There are no outstanding features that make Flaming Fox any different from hundreds of other slots already out there. This slot appears to be high volatility, making it difficult to trigger any bonus features at all. This just adds to boredom. There are no wild symbols in the main game which greatly diminishes wins. There are two very basic bonus features built into this slot. One is your standard free spins and the other they call Flaming Features. The game rules don’t state what, if anything, triggers this feature. I’m assuming it’s random, but it doesn’t happen very often. When this feature activates, the Flaming Fox comes out of meditation and kicks and punches the reels. He may attack individual symbols or entire reels. Whatever he destroys will reveal a second flaming reel behind which contains only full rows of high paying symbols or wild symbols. The Flaming Fox may also decide to take out his aggressions on the reels a second time. If he does, everything that he hits will become a sticky wild. Again, the game instructions don’t say how often this triggers or even how long the locked wild symbols last for. Three or more “free spins” symbols landing anywhere on the reels will trigger a round of free spins. The total number of free spins is random, but once again, the game rules don’t say what the minimum or maximum number of free spins are. All it says is that the more symbols that land, the more free spins you will get. There is also an “extra spin” symbol that can land during free spins which will grant you — you guessed it — extra spins. If the Flaming Fox happens to come to life and do and his Ninja skill display, any feature he triggers will remain locked for the entirety of the free spins. 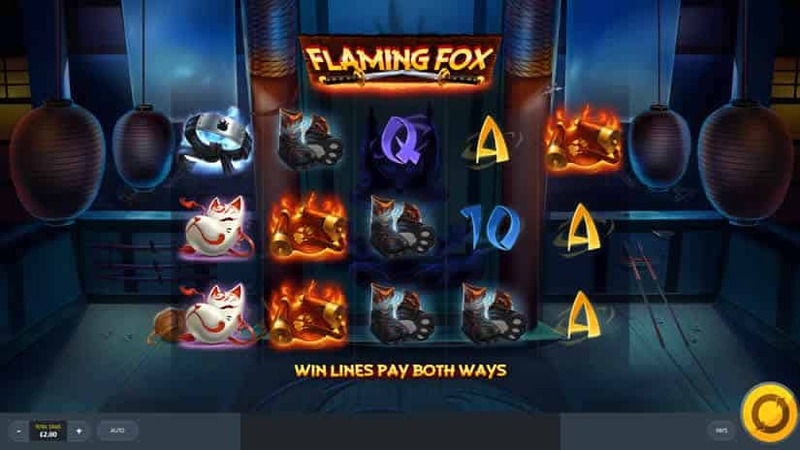 At first glance, the smooth design and pleasing visual appearance of Flaming Fox make it look like it’s a quality video slot that should be a lot of fun. Unfortunately, that’s not how the experience turns out. Good payouts and bonus features seem very difficult to trigger. I made several hundred spins and couldn’t get the free spins to trigger once. I did get the Flaming Features bonus to trigger a few times, but even with that supposed bonus, I was only rewarded with two or three times my bet. It seems bad enough that there are no wilds in regular play and no imaginative bonus features, but it’s even worse when those bonus features aren’t even worth waiting for because they don’t pay. Overall I’d have to put this slot on the No List. There’s just nothing interesting here, and if you’re going to make a high volatility slot that doesn’t pay very often, you have to make something about it is interesting. In the end, you’re just watching the reels spin — and you can’t even configure them to spin faster. Add in the confusing language and apparently missing information in the game rules and this just becomes a slot to avoid entirely. If high volatility slots is what you are looking for, I recommend you check: Swipe And Roll Slot, The Lightning Horseman or Mystery Of LongWei.